What service pack, release, or build number are you at? A question I commonly ask system admins, and it is surprising how many don’t know the answer. Here are the simplest methods of getting the OS build information. *For applications that have been manifested for Windows 8.1 or Windows 10. 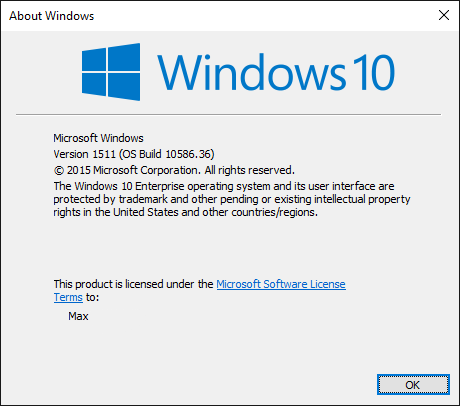 Applications not manifested for Windows 8.1 or Windows 10 will return the Windows 8 OS version value (6.2).